By investigating the relationship between acoustical technologies and twentieth-century experimental poetics, this collection, with an accompanying compact disc, aims to ‘turn up the volume’ on printed works and rethink the way we read, hear, and talk about literary texts composed after telephones, phonographs, radios, loudspeakers, microphones, and tape recorders became facts of everyday life. The collection’s twelve essays focus on earplay in texts by James Joyce, Ezra Pound, H.D., Samuel Beckett, William Burroughs, Amiri Baraka, Bob Kaufman, Robert Duncan, and Kamau Brathwaite and in performances by John Cage, Caribbean DJ-poets, and Cecil Taylor. 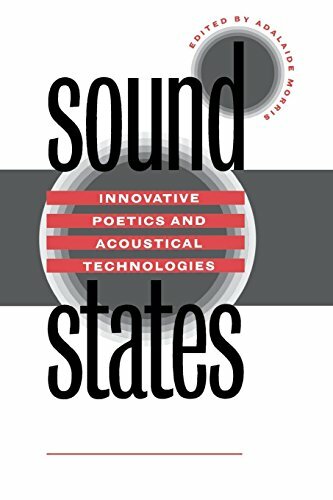 From the early twentieth-century soundscapes of Futurist and Dadaist ‘sonosphers’ to Henri Chopin’s electroacoustical audio-poämes, the authors argue, these states of sound make bold but wavering statements–statements held only partially in check by meaning. The accompanying CD offers soundtracks of early radio sounds, poetry readings, Dada cabaret performances, jazzoetry, audiopoems, and contemporary Caribbean DJ dub poetry. The contributors are Loretta Collins, James A. Connor, Michael Davidson, N. Katherine Hayles, Nathaniel Mackey, Steve McCaffery, Alec McHoul, Toby Miller, Adalaide Morris, Fred Moten, Marjorie Perloff, Jed Rasula, and Garrett Stewart.